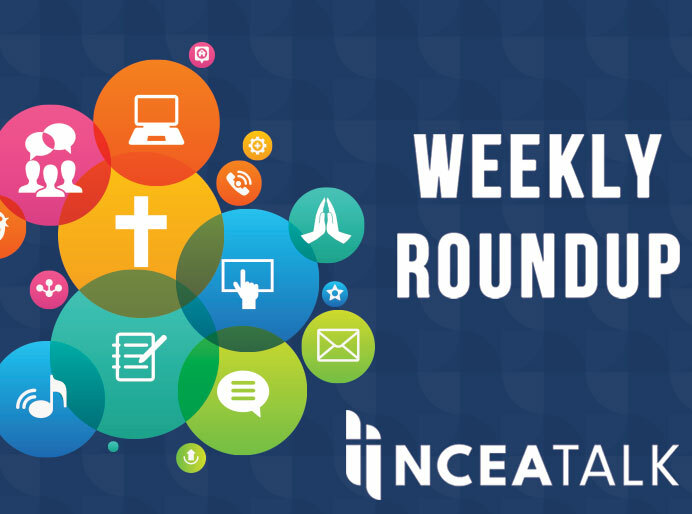 As the school year wears you down, you might be identifying with the suffering Jesus this week. Or you might think the Church is the suffering savior, broken from abuse. I know that from time to time, I need to change my focus in order to see the bigger picture. Last summer on a road trip with the family on our way to Chicago, we were eight hours in and tired of the car and each other already. We stopped in to visit the beautiful Assumption Abbey in Richardton, North Dakota. My wife and I stopped in to the abbey on our honeymoon just a few years ago and thus connected to a special memory. We drove to the back of the property to look out over the expanse. An older guy came up and knocked on my window. “Where are you from?” he asked. We told him Montana and the kids were restless and we needed to get back on the road. “Park over there,” he said, and told us he would show us around. We had imagined a short detour but the next hour was fascinating as Brother Placid took us on a behind the scenes tour of the living spaces, the cells, the chapel, and the interior courtyard. When he showed us the cafeteria, there was a place setting. He explained that one of the brothers had just passed away and their tradition was to keep the untouched place setting out for a month afterward to remember their brother. He told us about his life in the monastery and what it’s like with fewer and fewer monks and no young monks. There was sadness in his voice but his warmth and joy shone through. Our kids were fascinated, touched, and excited. They still talk about Brother Placid, who is now on our Christmas card list. Later I discovered that Brother Placid was the last cowboy at the monastery and was featured in a 2011 New York Times article. The abbot was quoted in the article. “Who’s in charge here? Is God in charge or are we?” he asked in reference to the vocations crisis. Whenever I get despairing about the problems of the church, I think of the simple, joyful faith of Brother Placid and take heart that there are many holy people in the Church. This week, his memory was bursting forth from the thawing ground like a flower, harkening the beginning of spring. Happy Passion Sunday! In this week’s newsletter, I blog about a holy brother I met in North Dakota, a simple story which surfaced last week. I hope spring has sprung in your world. Here in Montana, we’re still waiting! In the Leadership section, I included Jennifer Gonzalez’s South by Southwest talk “The Aerodynamics of Exceptional Schools.” It’s a long one (55 minutes) but is really thought-provoking. Jennifer runs the “Cult of Pedagogy” website and is full of great ideas. Enjoy Holy Week! I’ll be back in two weeks. 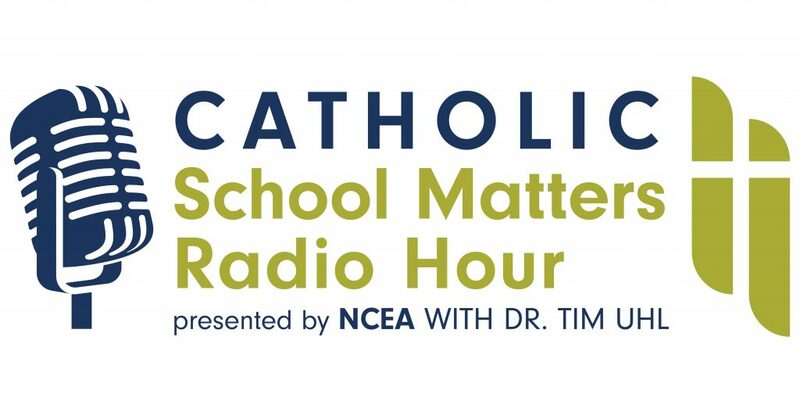 On Wednesday’s Catholic School Matters Radio Hour podcast, Bishop George Murry of Youngstown leads off. He discusses what life is like for a bishop during these trying times and shares his remarkable story of beating leukemia last year. Then Dr. Liz Guneratne of Moreau Catholic HS joins me to discuss why she returned to the principalship after a few years at Santa Clara and the central office. Finally, Dr. Dan DiLeo of Creighton University comes on to discuss Laudato Si and the upcoming summer conference. 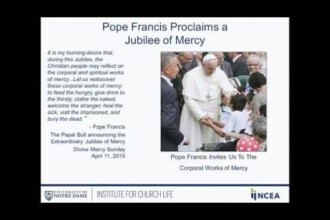 We discuss the meaning of the encyclical and provide a way for people to approach and understand it.